Pasadena's New Year celebration is world renowned. The Chamber hosts the annual Taste of Pasadena at the Rose Bowl. The Chamber celebrates new Pasadena businesses. The Rose Bowl hosts championship football, soccer and much more. Since its founding as the Board of Trade in 1888, the Pasadena Chamber of Commerce and Civic Association has played a major role in the development of our internationally renowned city. In the 21st century, the Chamber's primary purpose remains supporting the prosperity of our members and enhancing of the business climate and quality of life in Pasadena, California. The Pasadena Chamber effectively supports our members through referrals, expert advice and technical assistance, workshops and seminars, networking and community events. The Chamber also advocates aggressively on behalf of business interests and our economy. 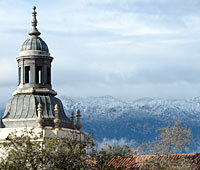 Pasadena is a wonderful city - for visitors, businesses and residents alike. Our unique size makes Pasadena a warm and inviting urban setting without the worries and hassles of a big city. Visitors, as well as those who live and work in the Pasadena and adjacent cities of Los Angeles County, enjoy shops, restaurants and entertainment within easy walking or driving distance from hotels and destinations. Visit Pasadena, CA to experience our Rose Parade and Rose Bowl, world-class museums, entertainment, dining and recreation facilities, outdoor opportunities and much, much more. Our "City of Roses" has something to offer everyone. The Pasadena Chamber of Commerce has allowed me to build beneficial business connections that are adding a great amount of value to my business. The directory listing alone was responsible for connecting me to other chamber members who have more than paid for the cost of belonging to the chamber.